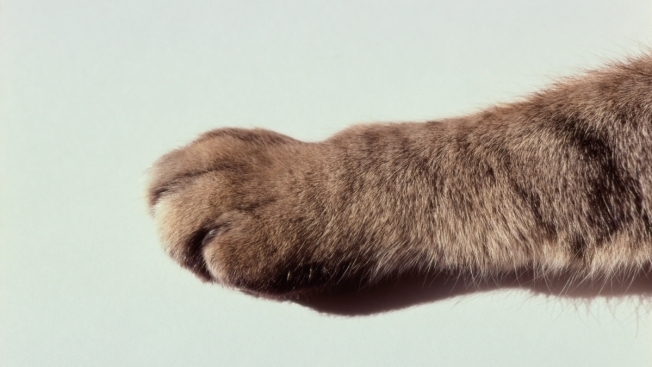 A file photo of a cat's paw. Government scientists announced on Tuesday that they're pulling the plug on a research program that's resulted in the deaths of thousands of cats, NBC News reported. The U.S. Department of Agriculture's Agricultural Research Services lab had been infecting cats with toxoplasmosis and then euthanizing them since 1982 as part of its effort to combat the food-borne illness. In a statement Tuesday, the USDA announced its "toxoplasmosis research has been redirected and the use of cats as part of any research protocol in any ARS laboratory has been discontinued and will not be reinstated." Fourteen healthy cats are in the process of being adopted by USDA employees. The announcement came less than two weeks after NBC News reported on a study that found ARS scientists had bought hundreds of dogs and cats from "Asian meat markets" and then had them euthanized and fed to healthy cats at their Maryland lab. The USDA's statement did not mention the "cat cannibalism" experiments.